Since the Post 9/11 GI Bill went into effect four years ago, an estimated 773,000 veterans and their family members have taken advantage of the benefits that allow them to pursue higher degrees, the VA reports. For many, private, career colleges and community colleges are a more viable option than four-year state universities. At Bryant & Stratton Online College, veteran enrollment has shot up from about 20 in 2010 to about 90 veteran students, said Ed Dennis, Military Relations Manager for Online Education at Bryant & Stratton College. “The personalized approach in private schools, community colleges are in the communities they grew up in, that's what attracts to them to those schools,” Dennis said. Bryant & Stratton has an extensive support network for veteran students, Dennis said, starting with placement testing to ensure students are ready for college-level course work. Students receive four key documents: syllabus, supplemental syllabus, tracking calendar and grading rubrics. Dennis guides them to view the documents and rubrics as core tasks similar to what they had to accomplish in the military which helps the students make an easier transition to academic life, he said. Spouses are also following their example. 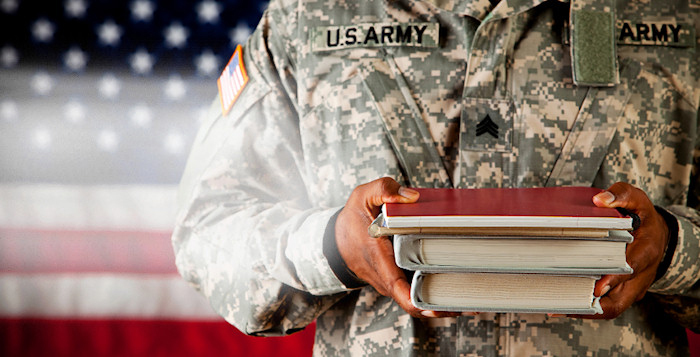 In the first two years that Post 9/11 GI Bill benefits were offered there may have been some questionable recruiting practices that drew more veterans to specific schools, said Ted Jimenez, associate registrar for Metropolitan State University of Denver. Some schools received tuition payment in full from the VA then passed a financial incentive on to the student to encourage them to enroll in their programs, Jimenez said. In August 2011, the VA changed the process to ensure the VA is the last payer of tuition or fees. There’s also a significant cultural difference between state universities and for-profit and community colleges, said Braelin Pantel, Associate Dean of Student Engagement and Wellness for Metropolitan State University of Denver.